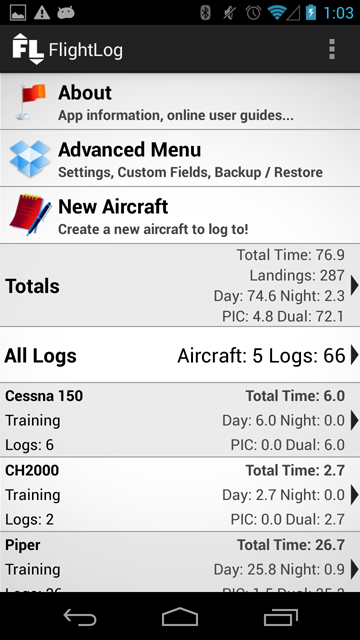 FlightPlan E6B released for Android! FlightPlan is an application I have been developing for iOS since 2008. The android version is the first step to bringing all of that functionality to the android platform. 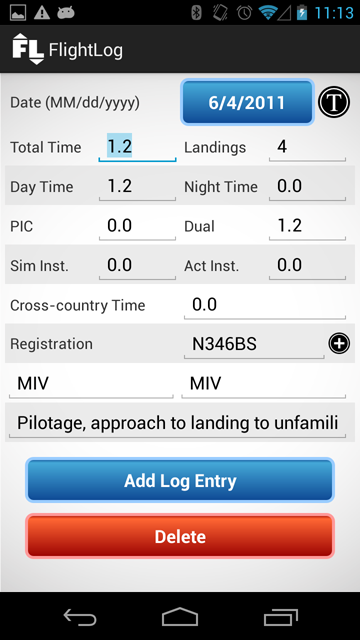 The android version has initially launch with the basic E6B functions that FlightPlan is known for. FlightPlan for android will continue to improve as I integrate more and more features, and all new features will be included free of charge. I'm always looking for user's feedback, so please feel free to email me with suggestions! Also, if you notice any anomalies on your device please let me know. It seems to be difficult to predict how the app will look on all devices, and I appreciate your patience while I work through any issues that are reported. 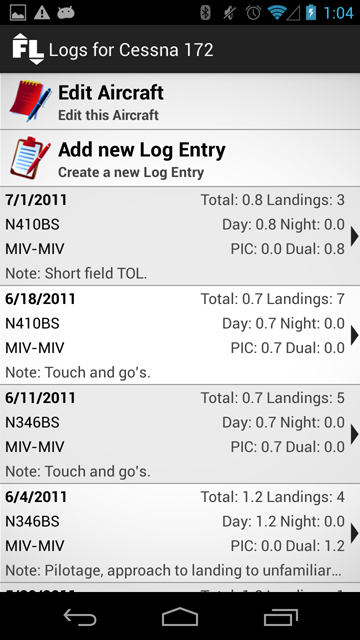 I just wanted to let the community know that I have started development of FlightPlan for android. The release is still a few weeks off, but I’ll be releasing this software in stages, meaning that when I get the core E6B functions completed I’ll submit it to the store. As I finish more advanced functions, like Weight & Balance, those will be included as well. I do look forward to getting FlightPlan out on android. Feel free to shoot me an email if you have any specific questions.